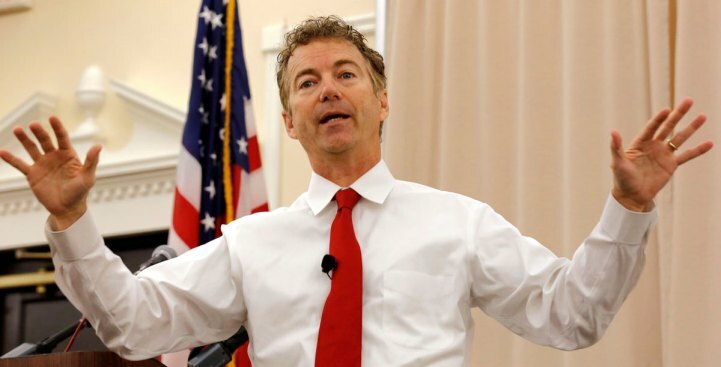 Rand Paul's New Hampshire campaign headquarters was burglarized overnight, according to police and campaign officials. Manchester Police said the headquarters, located at 50 Bridge St., was broken into sometime between 11 p.m. Tuesday and 8:50 a.m. Wednesday. A campaign worker came into the office and noticed some computers and other items were missing. Going to Iowa today for the final caucus push and now I am dealing with our New Hampshire for . @RandPaul office being broken into. Matt Chisholm, Paul's New Hampshire communications director, said four iPads, two laptop computers, two cell phones and some other small electronic devices, including cameras and headphones, were stolen. He said the thieves appear to have accessed the office by breaking down a door. There are no suspects at this time but police are continuing to investigate.